HRCCA is currently recruiting Board members and volunteers to make our community better. For more information, please click the links below. Ongoing events & Applicable Supplemental info of Link-up sessions will be posted. 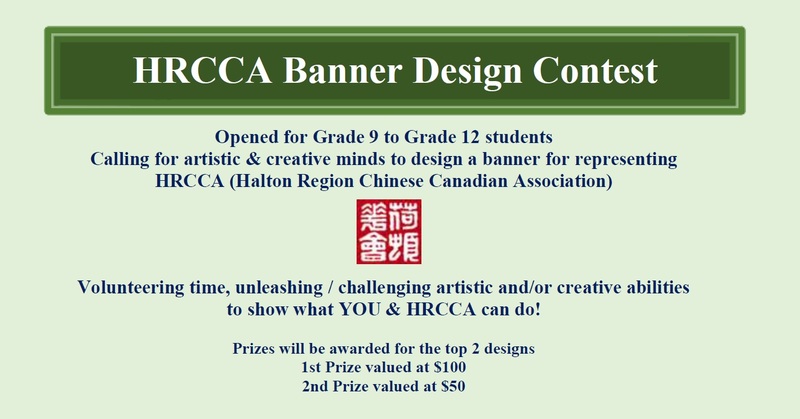 The Halton Region Chinese Canadian Association is a non-profit, non-political and non-denominational organization formed by a group of community minded volunteers from the Halton Region dedicated to promote cultural education, understanding and interaction between the Chinese and the society-at-large. 本 會 是 由 荷 頓 區 一 群 熱 心 公 益 的 志 願 人 士 所 組 成 的 一 個 非 牟 利 , 非 政 治 性 , 非 宗 教 性 團 體 , 以 積 極 推 廣 本 區 華 人 與 各 社 區 間 的 文 化 了 解 和 交 流 .